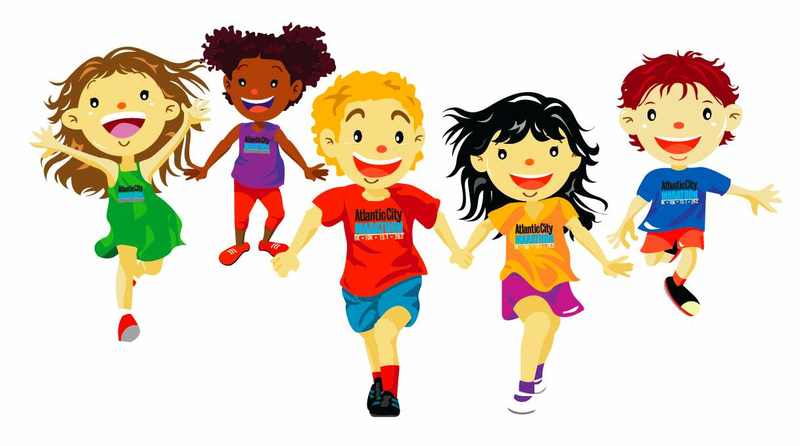 Cross Country Training – the children are training really well for this. Please make sure they have suitable clothing each day for running. The school cross country is in 3 weeks and children are keen to improve their fitness levels by then. Mercury Bay Junior Rugby Photos – Thank you to all the players who had their team photos taken last Wednesday night. Photos are $15 each and payment can be made to Vaughan at the Unichem chemist. You will then receive your team photo on the night of prizegiving. Mercury Bay Junior Rugby Prizegiving – This will be held on Friday 30th August at the Mercury Bay Senior Rugby Club rooms at 6pm sharp. Stationery accounts – Thank you to all the families who have paid their stationery accounts. Please find attached stationery accounts for this month. 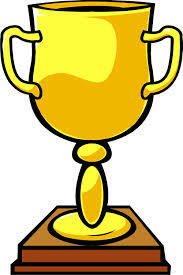 Reward a Sport Maker – by nominating them now. 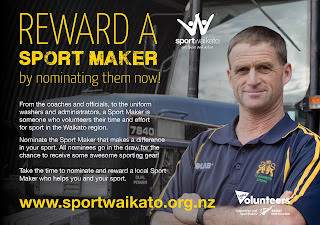 A sport maker is someone who volunteers their time and effort for sport in the Waikato region. 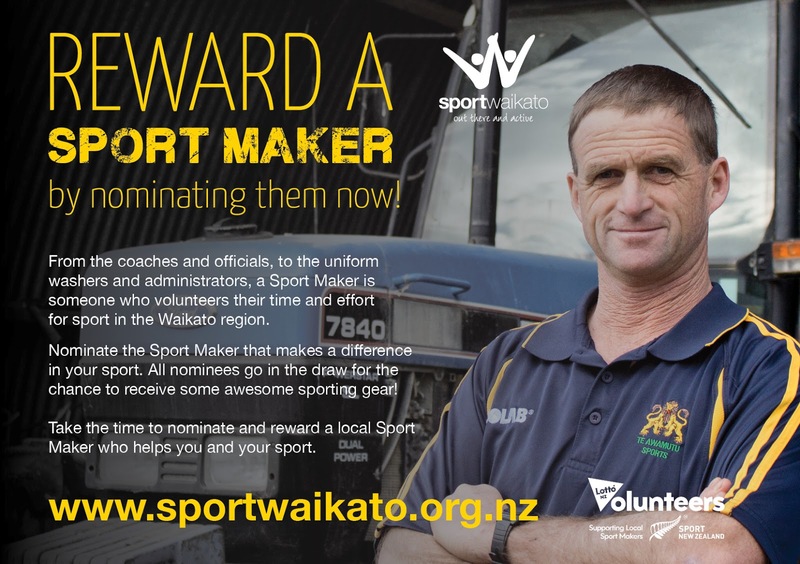 If you know a person who makes a difference to you in your sport nominate them in Sport Waikato’s Reward a Sport Maker. All nominations go in the draw for the chance to receive some awesome sports gear. Ball Rush – yesterday the children were captured enjoying a game of Ball Rush out on the back field. Enjoy the photos. Aria throws the ball at James, and he's in. Jessica and Aria run past all the action on the other side of the field. The boys amongst the action. Mid-Year Reports – If you wish to discuss your child’s report please ring the school and arrange a time to meet with the teachers. Tuesday, Wednesday and Thursday afternoons are available next week. BOT meeting - next Monday 12 Aug at 3.20pm. Paper for Trees – Thanks to Jessie, Kale, Hinekirunga and Jean for weeding, planting and mulching the garden at the front of the school. This year we asked for ground covers.